LIC Bank Recruitment 2018 Central Cabinet Minister has accepted the proposal to accept partnership between LIC AND IDBI Bank. 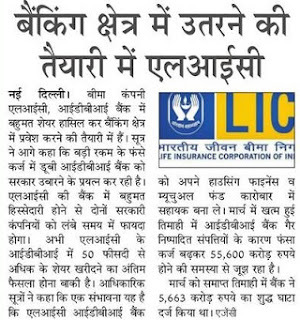 LIC Buyed 51% share of IDBI bank which comes to enlighten under Pradhan Mantri Modi. Piyush Goyal who is Finance Minister of India said in press meeting to confirm the merger of IDBI Bank 51% Share in to LIC (Life Insurance Corporation of Indian). CCC Previous Year:- It is not easy to handle CCC Online Question in Hindi for English Medium Students and to Solve CCC Question in English for Hindi Side People. If you are going to attend first time in CCC Exam 2018 than without scare try your luck, may be you get passed. During this publication of article 2 August 2018 I filled CCC Form in the year 2014-15 but i don’t give due to fear and not get proper guidance. To get Government jobs in Govt CCC certificate is must in some state. Top 10 Government Post Matric Scholarship 2018 The Story of Scholarship is made by parent and their dream of to make Child Prosperous in Life. Only Three selective items chooses by any guardian Scholarship, Loan and Make Meritorious Child. In early day of life student have seen their parents to be very strict on them but they only wanted you to pass in such entrance exam that can help to get government scholarship but not loan taken from the bank at high percentage. MYSY Scholarship 2019 :- Only those candidates who belong to 80 Percent in 10th, 12th and 65 % in Diploma and Graduates Castes so specified in relation to the Gujarat MYSY Scholarship to which the applicant actually belongs i.e. permanently settled and who have passed the Matriculation or Higher Secondary or any higher examination of a recognized University or Board of Secondary Education, will be eligible for mysy scholarship registration. Ration Card Transfer Form:- To transfer a ration card from APL to BPL, Old Card to Smart Rashan Card is very risky but easy to access. 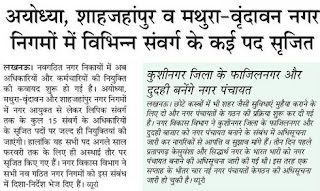 Migration of ration card required page to page process means employee to officer for verification process. When you visit with necessary document at food office, Pradhan, Shop than he or she can ask you to fill application letter for transfer of ration card in your jurisdiction. You will be asked to add an application and submit it along with proof of address and the application fee after which your transfer will be processed. Santoor Scholarship 2018:- Students pursuing 10 From Local Govt School, 12th From Inter College and Post Graduate or Graduate courses in any college and Universities will be eligible Santoors Scholarship for 10th Pass Girls. Santoor Scholarship are allowed to practice during the period of their Board, Annual and Semester course. Students who pursue their studies through correspondence courses are also eligible for Santoors Scholarship for 12th Pass. The term correspondence includes distant and continuing education. DGCA Pilot Training Scholarship 2018:- If you want to become Pilot instead of Air Hostess than Air India is Best Place to learn, make career and complete whole life. Air India is government funded Institute who pay its employee more than 7th pay commission, sell Air tickets with subsidies rate to public and time to time also gives offer to middle class family like winter summer offer. We are talking about air India pilot scholarship which is very limited due to high costs of fuel, use of advance technology and Airplane is not cheaper at all.